Durkee Innovation in Embroidery Technology, Introducing Durkee Cap Frames - all metal frames allowing embroiderers to embellish caps with logos and designs more than Brother 2 1/2" tall. 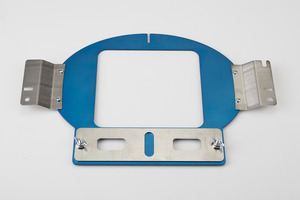 Durkee’s cap frame attaches to your machine just like a normal hoop. The bill of the cap is clamped securely in place while the embroiderer presses down the front portion of the cap held in place with sticky backing/stabilizer. 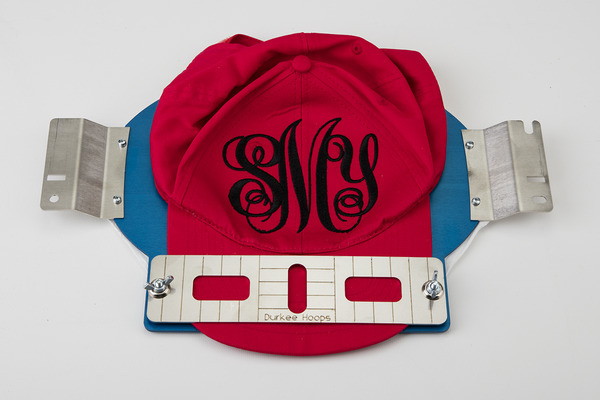 This is a fantastic frame for cap embroidery without the need to change over to a cap driver. The Durkee cap frame fits into your standard arms just like a normal frame. It is so easy to use. Now everyone can do cap embroidery in house. Comes with Durkee’s lifetime replacement warranty plus, alignment guides to aid in achieving consistent hooping results. 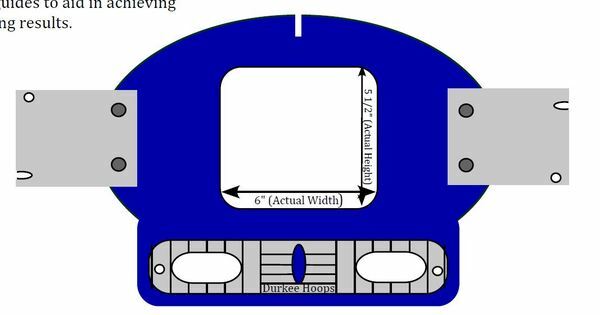 Our cap frame allows the embroiderer to sew a design or logo approximately 5" wide and 4 1/2" tall. After completing the front of the cap, the embroiderer can turn the cap around and clamp the back tabs of the cap in place to embroider the back of the cap as well. US Warranty Lifetime warranty on defects in materials and workmanship. Monograms up to 5" wide and 4 1/2" tall. We purchased our EZ Frames at the 2018 Quilt Festival in Houston. The Allbrands sales people were very knowledgeable and wonderful to work with. The displays were great and checkout was very fast. Thanks for a great experience!